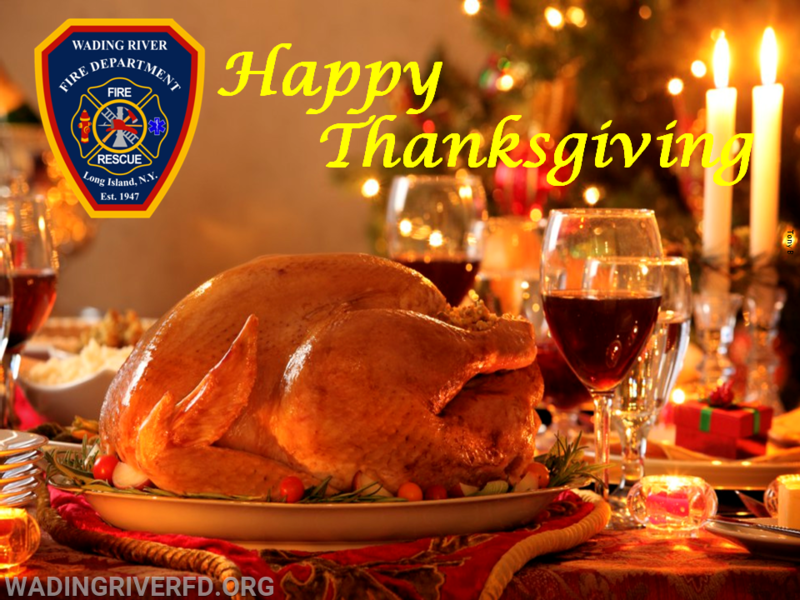 The members of the Wading River Fire Department wishes everyone a Happy and Safe Thanksgiving! it comes to kitchen safety as families gather for Thanksgiving this year. $21 million in property loss. Unattended cooking is the leading contributing factor in all cooking fires. We urge remembering some simple but important rules when they’re in the kitchen. The WRFD offers these safety tips (and this helpful graphic) as a reminder to cook smart this year. • Use a kitchen timer to remind yourself when you are cooking. • Stay in the kitchen when you are frying, boiling, grilling or broiling. • Never leave the fryer unattended. Most fryer units do not have thermostat controls. • Never let children or pets near the fryer, even if it is not in use. The oil inside the cooking pot can remain dangerously hot for hours after use. • Use well-insulated potholders or oven mitts when touching pot or lid handles. If possible, wear safety goggles to protect your eyes from oil splatter. refrigerator approximately 24 hours for every five pounds of weight. a grease or oil fire. If the fire is manageable, use your all-purpose fire extinguisher. If the fire increases, immediately call the fire department by dialing 911.